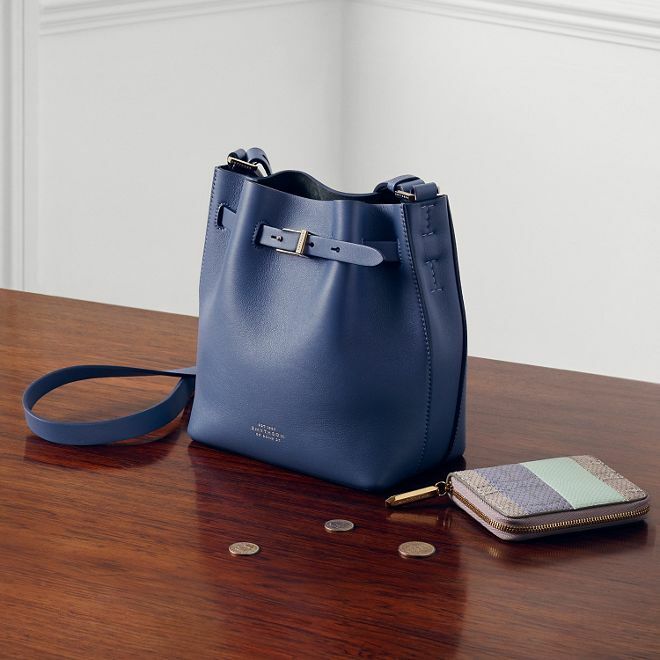 Sleek, luxurious and delightful to behold, the Albemarle unveils an exciting new silhouette. 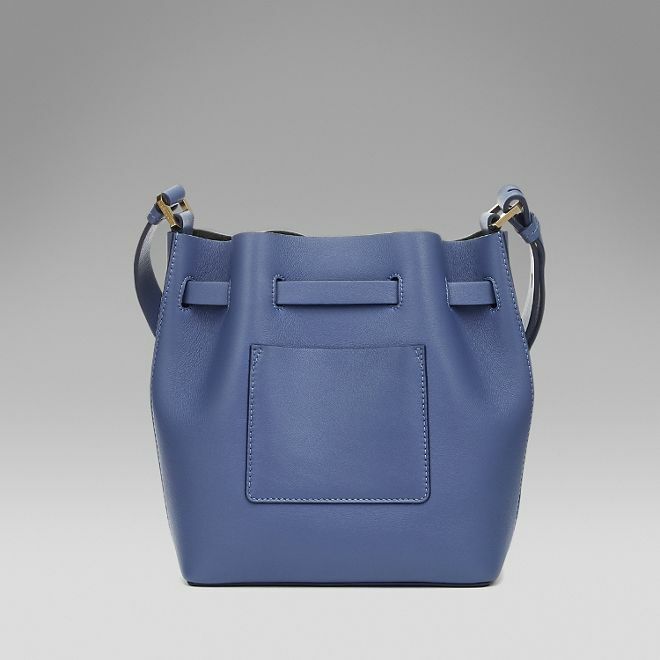 This perfectly formed bucket bag is available in two sizes: small and medium. 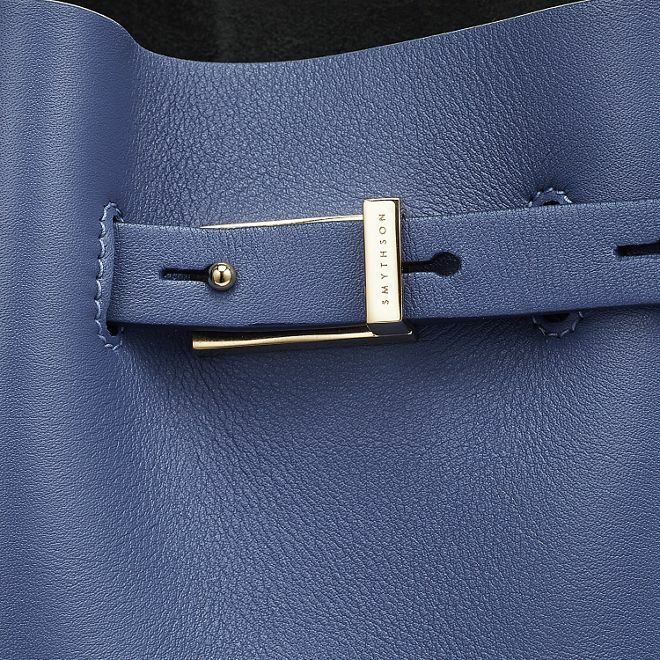 It boasts an adjustable strap, enabling it to be worn across the body or tightly under the shoulder. 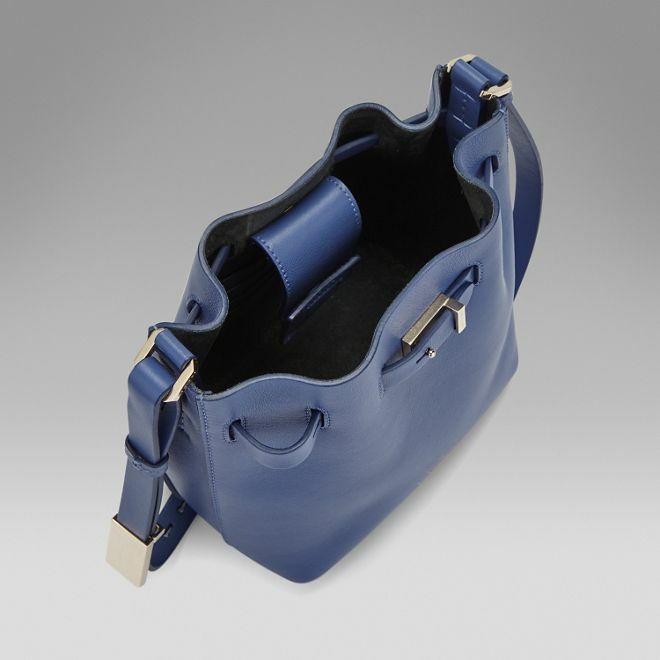 The smooth finish and lightweight touch of soft calf leather together with a bonded suede interior, is second to none. 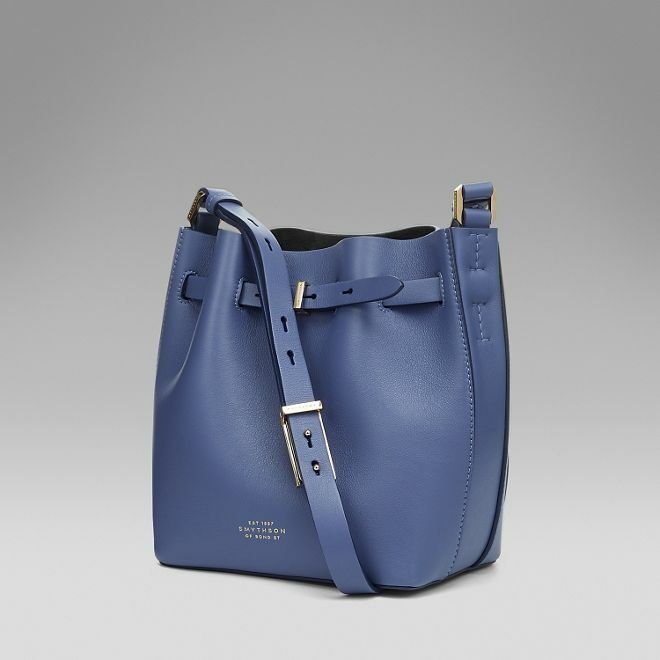 Dawn blue smooth calf leather handbag. Internal slip pocket and external slip pocket. Internal magnetic strap closure for added security. Dimensions: W18 x H19 x D11cm / W7 x H7.5 x D4.3"